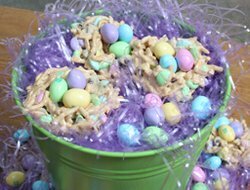 Browse our collection of Easter Candy recipes that you can make at home. 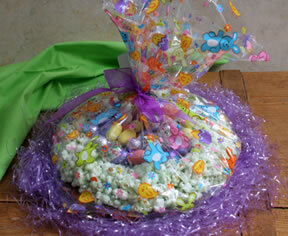 We have an Easter egg nests, coconut or peanut butter Easter eggs, and marshmallow treats that are sure to please. 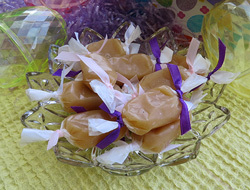 These special treats will be a great addition to your Easter gathering. 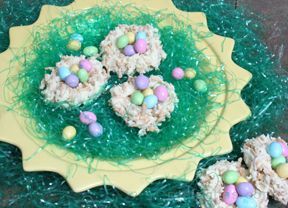 For more details on how to make these Easter treats, go to our Easter Candy Recipes article to see step by step instructions. 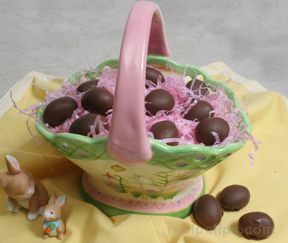 Another fun activity at Easter is coloring Easter eggs. 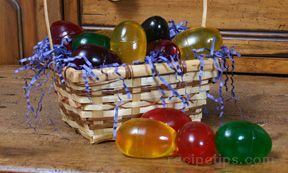 To see how to color eggs, go to Dyeing Eggs for instructions. 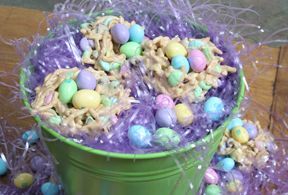 "Make your Easter treats extra special this year by making them yourself using these yummy Easter Candy Recipes. 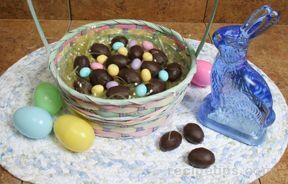 Everyone will love the chocolate eggs with a creamy peanut butter center or filled with sweet coconut. 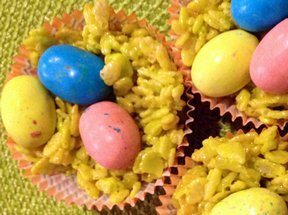 Making the Easter nests can be great fun when you include the kids. 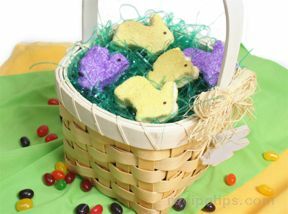 Let them choose their favorite treats to fill the nests and they will be proud to show off their work on Easter day." 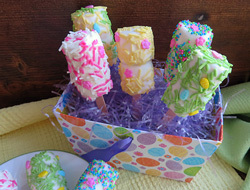 "These look like fun Easter candy recipes. 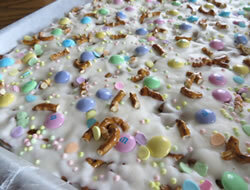 I am going to try to find time to make one of the nests so the kids can help fill them. 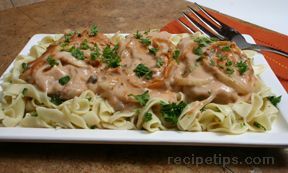 They love to help!"